Seven years ago a young man murdered his parents, was sent to a mental institute after his departure from it, he returns to his life surrounded by crime, with an insatiable desire for revenge. Skip O'Brien ... Sheriff Harlan Bremmer Sr.
Travis Schuldt ... Deputy Harlan Bremmer Jr.
Jim Halsey: What do you want? Q: What was the Box-Office like? Q: How Did Critics react to the film? Q: What differences are there between this and the original? So it's no masterpiece. I wasn't expecting one. As a good ol' blood-and-guts horror/thriller, it delivers. I will say is that it's not for the faint of heart, though. This is definitely a gruesome flick, even for today's standards. I was pretty close to the edge of my seat throughout 80 % of the film--so I'd say the film did its job. And watching Sophia Bush (from "John Tucker Must Die") run around in short skirts and tops made the film even more fun to watch. I do have a few mild criticisms. There are some clichéd scenes, like the main characters getting arrested and being taken to one of those precincts that only exist in movies. Only about three people are on staff, making it convenient for the killer to stroll inside, murder the officers in cold blood, and track his prey. 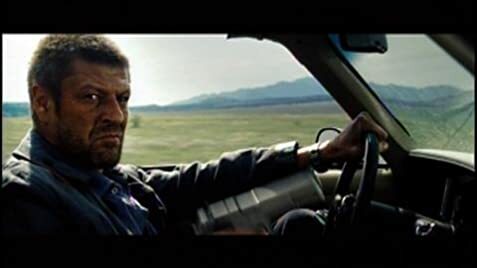 Sean Bean plays the villain/title character. Sean's a significantly talented character actor, who most people probably recognize by face, rather than by name. This could've been a much more juicy role for him, but he's not given much to do. His performance consists of sneering and delivering sadistic one-liners in a monotone. I blame this more on his character being underwritten, rather than the actor himself. He has proved in movies like "Goldeneye" that he's capable of playing villains with much more depth. On the other hand, character actor Neal McDonough is given a pretty juicy role as the somewhat sympathetic sheriff. 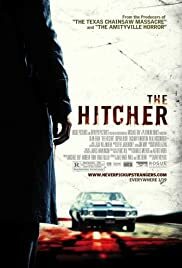 "The Hitcher" is not a film that will go down in history, but if you want to kill an hour and 30 minutes with a kick-a** popcorn flick, it's definitely worth watching. 71 of 139 people found this review helpful. Was this review helpful to you?